In this second book of the series, little Timothy starts to make new friends in school; other kids who are teased for their clumsiness, physical appearances, or peculiar interests. And, it seems, who also have special elemental powers of their own! But even with their hidden talents, they have to deal with bullying . . . 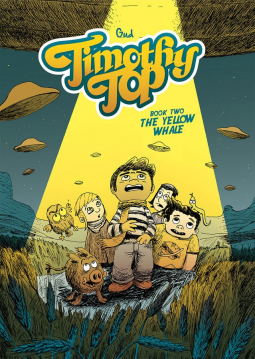 Meanwhile, the evil Mr. Plumbee is abducted by aliens who conspire with him to forge a new diabolical plan for yet another attack on the town of Bratisbona, starting with the kidnapping of Timothy's parents and sister . . . ! Will Timothy Top be able to save his city and resolve the discrimination in his classroom? Above all: will he succeed in bringing his parents back to planet Earth?